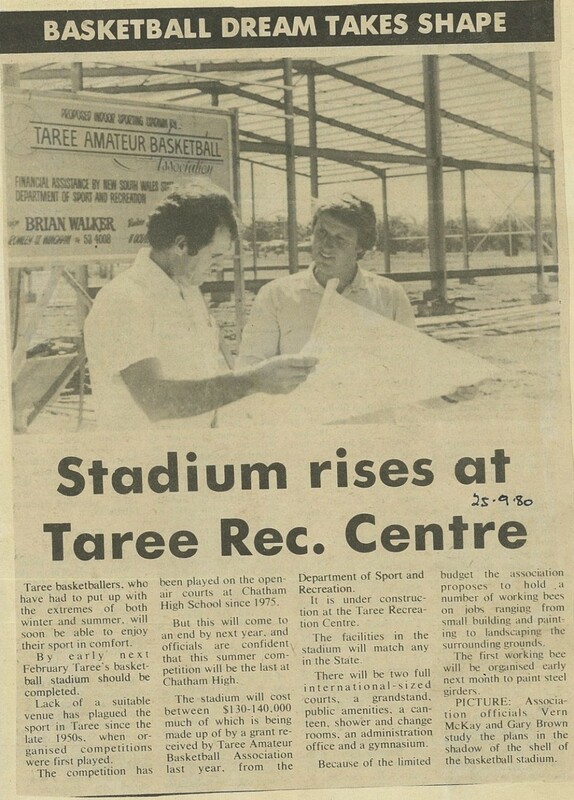 Gary Brown and Vern McKay were the driving forces of the building of the stadium, and without their passion for the sport, it would have never become a reality. During the construction of the stadium there where a number of setbacks. The stadium had to be raised off the ground due to flood levels and this extra cost caused setbacks. Hence the building sat idle for a period of time. At this stage the building had the bearers and joists down, but no floor boards. The community rallied! 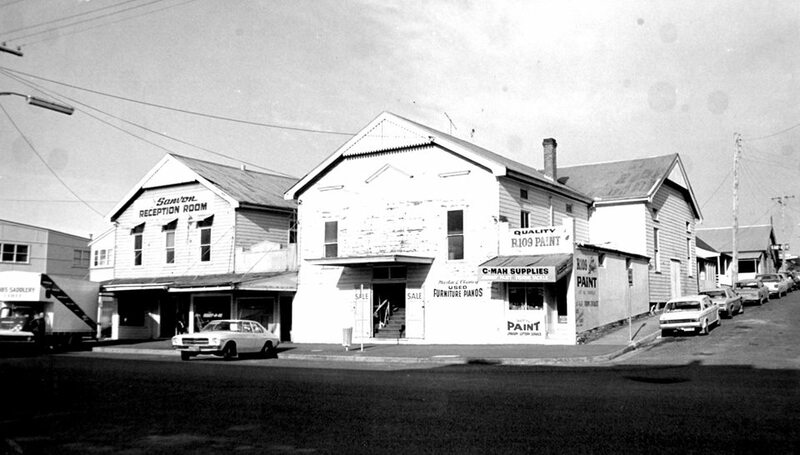 Glen Bennet was the President of the association and his father was the head teacher of Building at TAFE in Taree. The floor boards got laid by a number of apprenticesof that era. The Association was able to gain a loan from the Local Council, secured by two prominent business families, Yarads & Hackneys. There were numerous people of the era that put their time and energies into the association and the stadium. Among them were Alan Brown, Peter Sheppard, Paul Healy, Garry Stephen, Ann Sheppard, Sue Stanley, Bernie Slattery, Paul Stanley and many more. Building continued, and even though amenities could not be done basketball started playing in the stadium. 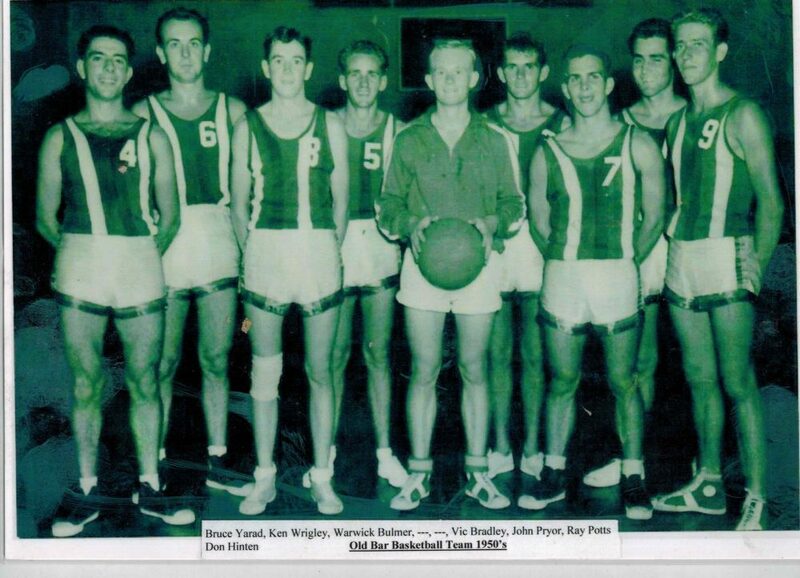 Wow, Taree Tornadoes had 3 American imports on the Tornadoes rosters, a coach that would go onto coach in the NBL and 5 players that would carve out careers in the NBL. It was BOOM time! State League games drew large crowds and the local TV crew would be at most matches. Basketball is once again gaining momentum, competitions are filling, playing standards are rising and the youth of the Manning are wanting to play Basketball. The stadium management, under the guidance of Paul Healy is at capacity and interest in basketball is growing. A full board is nominated and endorsed with Paul Healy driving the ship, a position he has held of 15 years. 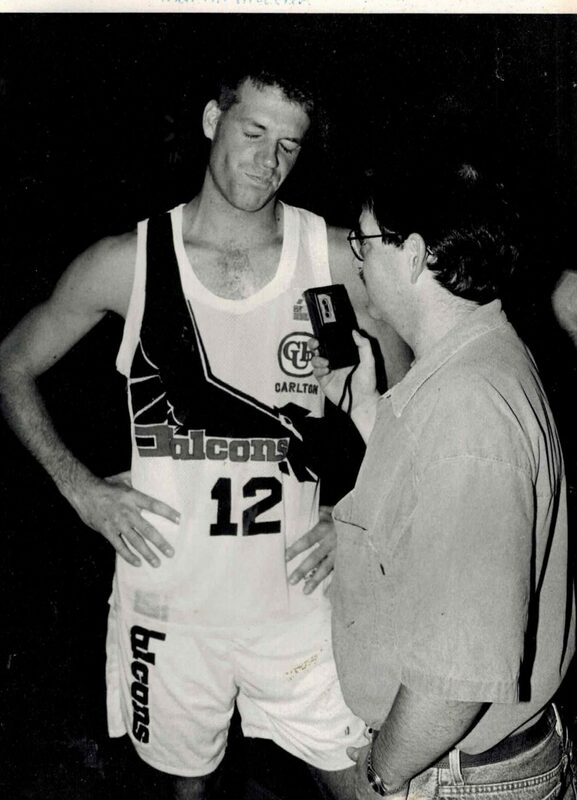 A new comer to the scene but an old face at Taree Basketball, Steve Atkins is a part of the new board, and this is a game changer. 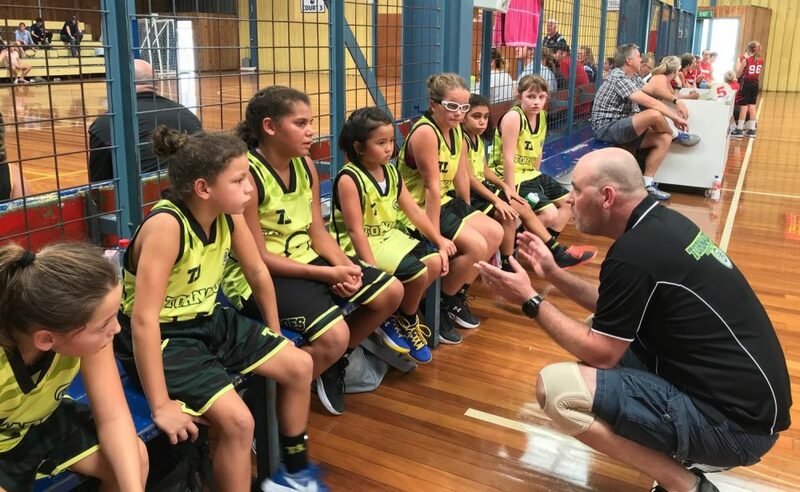 Steve’s corporate knowledge, experience and contacts send Taree Basketball and the Tornadoes on a fast paced expansion. Facilities are renovated, upgrading of logos and uniforms, all bring new enthusiasm to the stadium and the club. Grant applications for more courts are submitted, with the aim of bringing major events to the Manning while catering the much needed court time for the now multipurpose Iron Arena.